Jan Schumacher received his first musical education singing with the Limburger Domspatzen (Limburg Cathedral boys choir) and the Rhineland-Palatinate State Youth Choir. After his final secondary school exam, he studied Musical Education as well as German Language and Literature Studies at the conservatory in Mainz also Choral and Orchestra Conducting with Prof. Wolfgang Schäfer at the conservatory in Frankfurt. He gained important experiences while taking additional courses with S. Cambreling, R. Sund and G. Grün amongst others as well as being an assistent professor to the conducting professors at the conservatory in Mainz and an assistent to the guest conductors of the Rhineland-Palatinate State Youth Choir, which he himself directed as a guest conductor for the first time in 2007. Apart from the Camerata Musica Limburg he conducts the Chamber Choir Mainz which he also founded. Since its formation in 2002, the chamber choir has performed at concerts of the Staatstheater Mainz under P. Ruzicka and several times with the SWR Radio Orchestra Kaiserslautern (under C. Richter amongst others), appeared in TV and radio productions of the SWR and the Deutschland Funk. The choir was invited by the conservatory in Mainz and performed at the International Jaques Offenbach Festival. 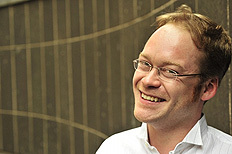 Since 2003 Jan Schumacher has a university teaching position at the TU Darmstadt as a conductor of the university's choir with whom he performs mostly choral-symphonic works. Schumacher is a first prize winner of the "Jugend komponiert" competition. In 2004 Jan Schumacher was a participant of the International Opera Studio of the Schloss Rheinsberg Chamber Opera, where in 2007 he conducted "Der Rose Pilgerfahrt" (The Pilgrimage of the Rose) by Schumann in coproduction with the conservatory Mainz. He was a member of the music commission and head of the music office at the Europa Cantat Festival 2006. Participation in numerous CD, radio and TV productions as well as concerts almost all over Europe, North and South America, Israel, South Africa and China complement his work.